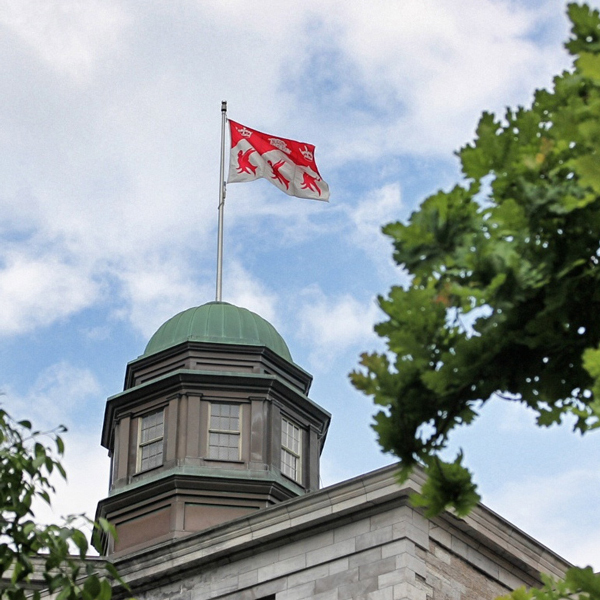 During its meeting of December 1, 2016, the McGill Board of Governors approved the promotion of four associate professors in the Faculty of Arts, four associate professors in the Faculty of Science, and one associate professor in the Faculty of Engineering, to the rank of full professor. José Jouve-Martin (Department of Languages, Literatures & Cultures, Faculty of Arts) received his Licenciatura in Philosophy at the University of Autonoma in Spain and his PhD at Georgetown University. He became an assistant professor at McGill in 2003, and was promoted to associate professor in 2009. Professor Jouve-Martin’s area of expertise is colonial Latin literature, and slavery, literacy and colonialism in Latin America. He also focuses on the role of African Latin Americans in the making of the contemporary hybrid and distinct nations of Latin America. He has served as director of Undergraduate Studies for Hispanic Studies, chair of the Latin American and Caribbean Studies Interdisciplinary Program and chair of the Department of Languages, Literatures and Cultures. Ashok Kakkar (Dept. of Chemistry, Faculty of Science) earned his PhD at the University of Waterloo, then joined McGill as an assistant professor in 1993. He became associate professor in 1999. Professor Kakkar is a materials chemist with a focus on multi-functional dendrimers and nanoparticles that have applications to drug delivery, medical diagnostics and the pulp and paper industry. Professor Kaakar collaborates with biomedical engineers, physiologists and pharmacologists to develop an understanding of the biological mechanisms involved in different diseases and in the design of smart, effective treatment options. Xue Liu (School of Computer Science, Faculty of Science) earned his BSc and MEng at the University of Tsinghua in China and his PhD at the University of Illinois. He joined McGill as an assistant professor in 2007 and was promoted to associate professor in 2010. His current research focuses on green IT, real-time systems and networking, feedback control of computer systems, software fault tolerance and reliability and wireless networks. Professor Liu is regarded as a pioneer and leader in the areas of cyber-physical systems and sustainable computing in data centres. Stephen Menn (Dept. of Philosophy, Faculty of Arts) earned his MA and PhD from Johns Hopkins University, and a second MA and PhD from the University of Chicago. He joined McGill as an assistant professor in 1992 and was promoted to associate professor in 1995. His areas of focus are ancient philosophy, Western and Islamic medieval philosophy and the history and philosophy of mathematics. Professor Menn’s teaching and research are very interdisciplinary due to his dual training in mathematics and philosophy. Andrew Piper (Department of Languages, Literatures & Cultures, Faculty of Arts) received his BA from Princeton University and his PhD from Columbia University. He joined McGill in 2005, becoming associate professor in 2011. Professor Piper’s area of expertise in German and European literature includes three main areas: the history of networks and literary topologies, practices of textual circulation and transtextuality, and literary quantity He is the William Dawson Scholar of German and European Literature and the director of .txtLAB, a digital humanities laboratory at McGill. Anthony Ricciardi (Redpath Museum, McGill School of Environment, Faculty of Science) earned his BSc and his PhD at McGill University. He joined McGill as an assistant professor in 2001 and was promoted to associate professor in 2007. Professor Ricciardi’s research seeks to develop a predictive understanding of species invasions, using a combination of field experiments, empirical modelling and meta-analysis. By looking at lakes and rivers, he examines why some species are better invaders than others, why some cause greater impacts, and why some ecosystems are more vulnerable to invasion. Martin Robillard (School of Computer Science, Faculty of Science) earned his BEng at École Polytechnique de Montréal, and his MSc and PhD at the University of British Columbia. He joined McGill as an assistant professor in 2004, and was promoted to associate professor in 2009. His current research focuses on problems related to application programming interface (API) usability, information discovery, and knowledge management in software engineering. His research interests also include software engineering, software evolution, API usability, recommendation systems, natural language processing, and research methods for empirical software engineering. Angela Vanhaelen (Dept. of Art History & Communication Studies, Faculty of Arts) earned her BA at the University of Western Ontario, and her MA and PhD at the University of British Columbia. She joined the University as an assistant professor in 2000 and was promoted to associate professor in 2006. Professor Vanhaelen’s area of research is the study of 17th-century Dutch visual culture. She has published The Making Publics research project, which brought together scholars and graduate and postdoctoral students from a wide range of disciplines and geographical contexts who worked collaboratively to understand the ways in which cultural representations contributed to new forms of association before the normalization of the public sphere in the eighteenth century. Viviane Yargeau (Dept. of Chemical Engineering, Faculty of Engineering) received her BEng and PhD from the University of Sherbrooke and joined McGill in 2004. She was promoted to associate professor in 2010. Professor Yargeau’s research and development activities are aimed at the protection of water resources, specifically the study of contaminants of emerging concern, such as antibiotics, hormones, personal care products, illicit drugs, pharmaceuticals, plasticizers and nanomaterials. Professor Yargeau has authored two scientific reports, and co-authored a third on the potential impact of Montreal’s plan to discharge a large volume of untreated water to the Saint Lawrence River.